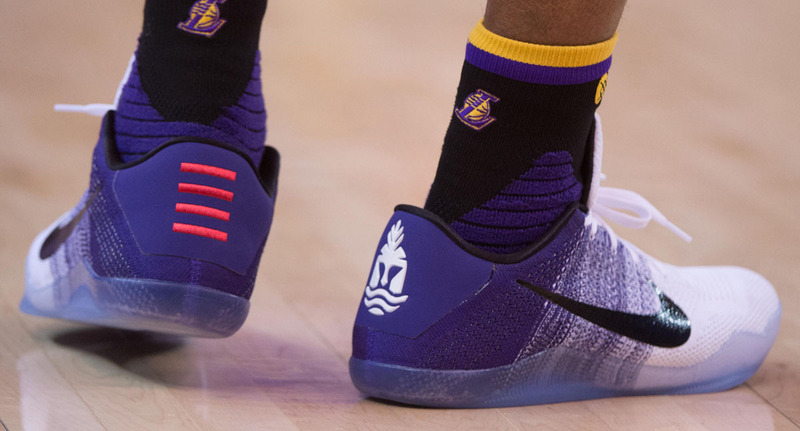 Get a feel for the details. 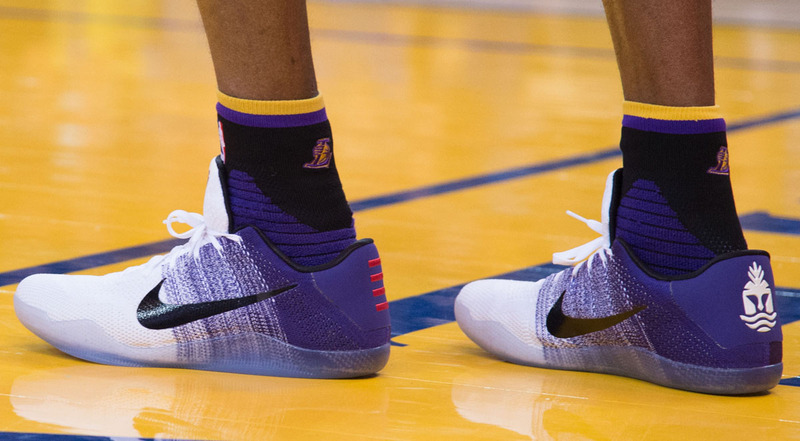 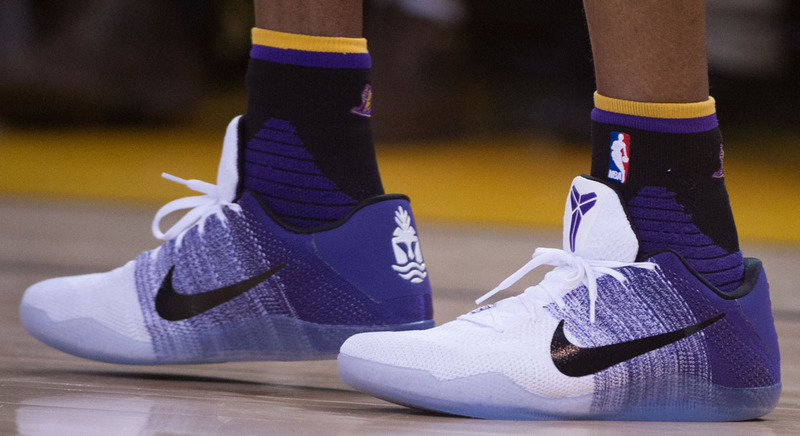 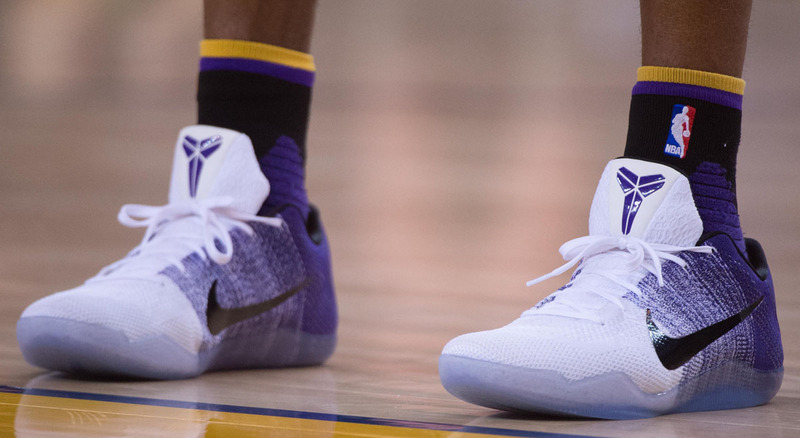 Kobe Bryant is putting the final touches on a legendary career in his latest signature shoe, the Nike Kobe 11. 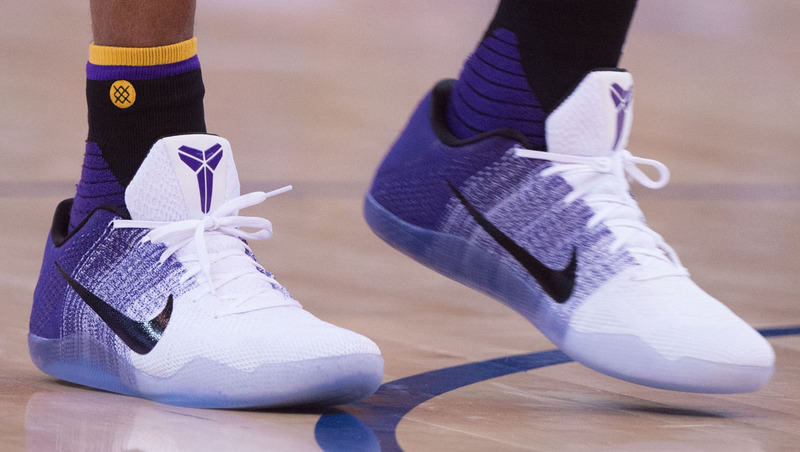 While only a few colorways have made it to retail since the model's official launch earlier this month, Bryant has worn quite a few PEs on the court. 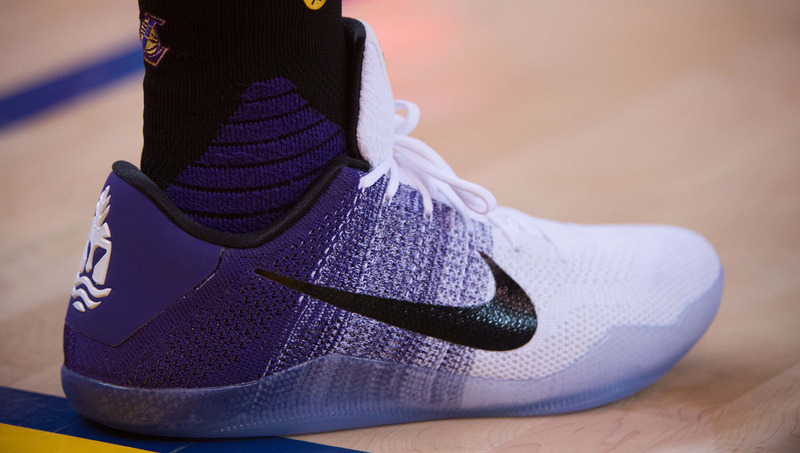 Perhaps the best received of the bunch has been the "Inline" version, which pairs purple and white Flyknit together on the upper, along with black Swoosh branding and an icy translucent outsole. 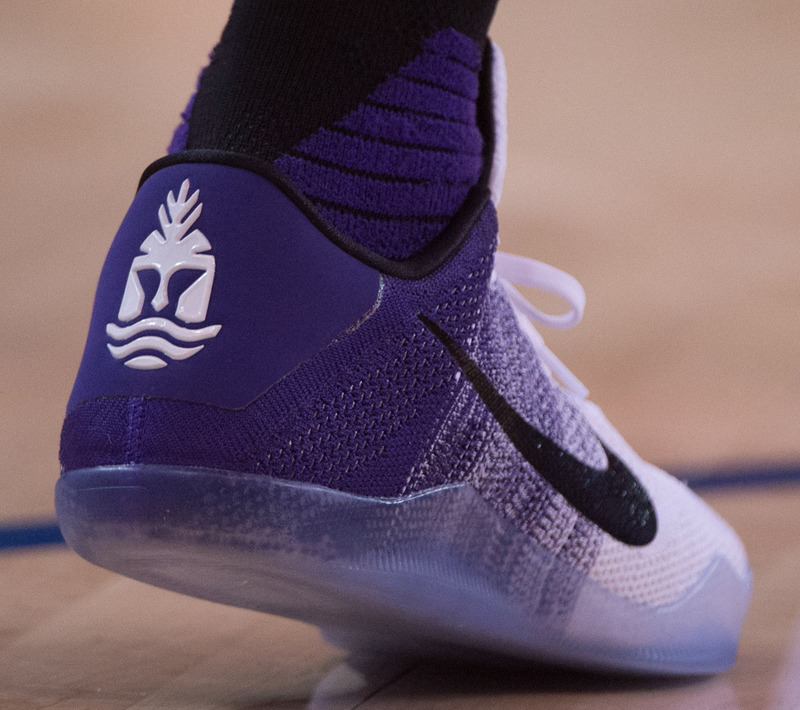 The "Achilles" logos also appear on the heels. 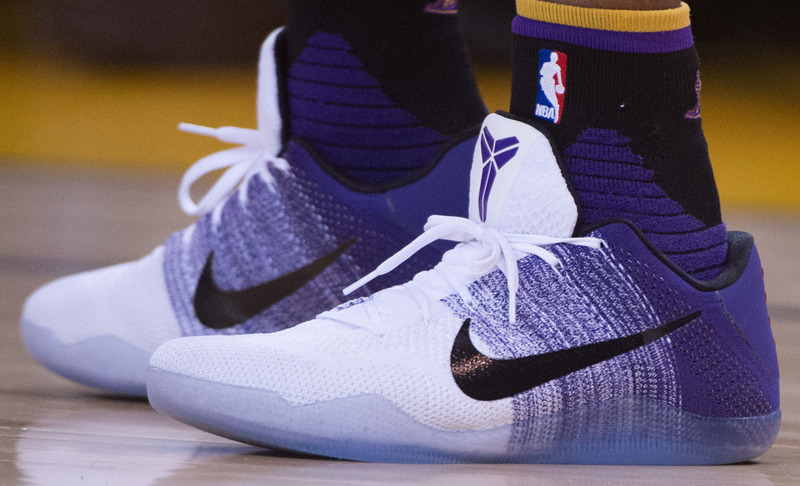 Whether or not this colorway eventually makes it to retail is unknown at the moment, but enjoy a closer look while the series unfolds.